Who can blame a couple when they want to put together a last-minute wedding? Sometimes when the mood to say "I do" strikes, a couple can't fathom waiting too much longer before they're married. That doesn't mean they want to forego the wedding, though! Putting together a last-minute wedding can be overwhelming, but Steve Kemble, "America's Sassiest Lifestyle Guru" and star of shows such as Whose Wedding Is It Anyway, Married Away, Platinum Weddings, Married by the In-Laws, and Extreme Makeover Wedding Edition, has plenty of tips to help make a quickie wedding as smooth as possible. Kemble recommends planning a last minute wedding for a Monday, Tuesday, Wednesday, or Sunday to up their chances of having a venue available. "It helps even more if they can be somewhat flexible on the time of day they can get married," Kemble says. "If they can get married on one of these days, I always suggest a restaurant." 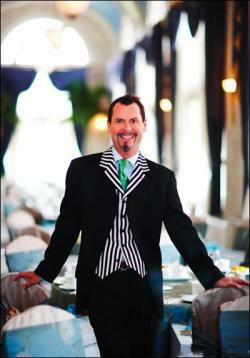 Kemble notes a restaurant has everything needed to make the day special, like linen, china, and more. A restaurant with an outdoor courtyard can accommodate the ceremony and if it has a "party room" where the reception or seated dinner can follow, it will work. Or, if it's in the budget, fly out for a Las Vegas wedding. Finally, have the wedding at someone's home, suggests Kemble. He says this will remove a lot of logistical issues out of last minute planing. 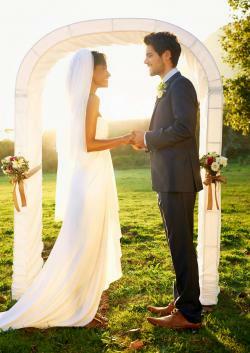 Brides and grooms with a tight budget and a short amount of time to plan may run into additional issues. 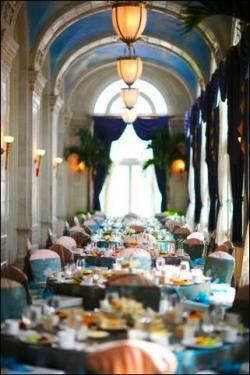 "Establish priorities and focus on the elements of your wedding that are most special to you," says Kemble. 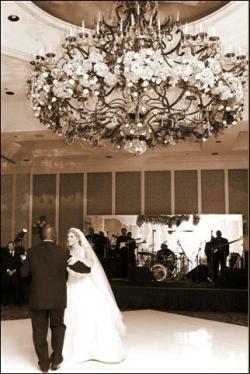 If the ceremony is the most important aspect, then you'll want to focus on the venue. Or if music is a priority, then you'll want to spend your money on the best live band in your budget. Frazzled brides and grooms often have trouble making selections for things like flowers and decorations. Kemble says the key is to be prepared when meeting with vendors. Know what you like, have examples photos from magazines, and be ready to discuss the budget. Additionally, come to the vendors with a budget set or in mind. "Within a short window of time, it is not the best use of the vendors time to design a $150 bridal bouquet, when all you really wanted to spend on the bouquet was $50," says Kemble. "Be honest and open regarding your budget with your vendors so they can spend yours and their valuable time designing a creating fabulousness within the desired amount you want to spend!" A checklist or planning book can help you get and stay organized when you're working in a short timeframe. Marking off items will keep your planning stress low and give you a snapshot of what still needs to be completed. Adjust the dates as needed to accommodate your short notice plans. 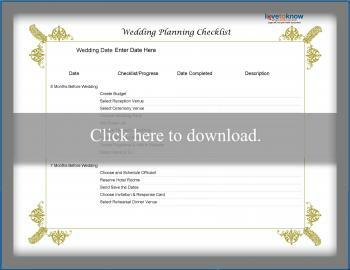 Click to print the planning checklist. 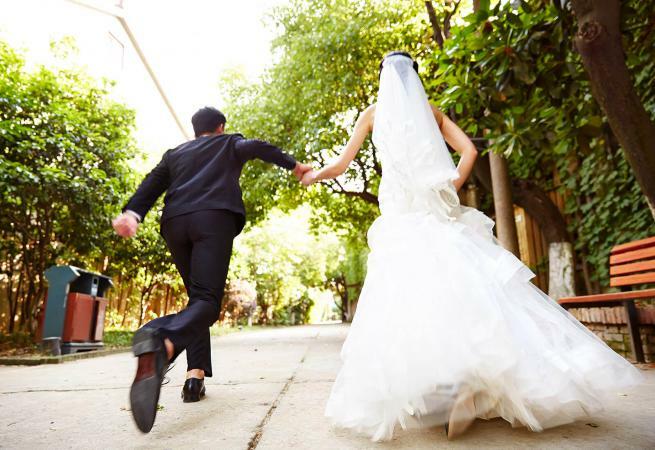 Brides and grooms tend to overlook a few items until the very last minute, leaving them scrambling on the day of the wedding. Vows are one thing couples leave until the last minute. "Many couples today want to write their own vows," says Kemble, "yet they don't realize how much time it actually takes to put their thoughts on paper so they can be presented in such a manner that is appropriate for a wedding ceremony." He says they should start doing this about three months ahead of the wedding, instead of the night before, so they can check it off their list. "Couples tend to forget about all the cash they will need on their special day for those they wish to tip in paper money," Kemble says. He suggests the bride and groom prepare an emergency kit with items such as extra cuff links, buttons, a needle and thread, deodorant, Kleenex, band-aids, bobby pins, aspirin, duct tape (for fixing last minute hem issues) and more! When planning a last-minute wedding, decide as a couple what is most important to you. Get those details together first, along with a venue. Ideally, you will have access to a friend or relative's house for your wedding ceremony. Also, set a budget you can stick to and don't procrastinate on those vows and the transportation!